It supports Options of 3rd party extensions if they use the Joomla way to store their options. This makes it possible to exports the license keys of components like Akeeba Backup and JCE editor so you can easily reuse them at your other sites! Note: Export & Import for Plugins, Modules and Templates, and batch import/export are only available in the commercial version. 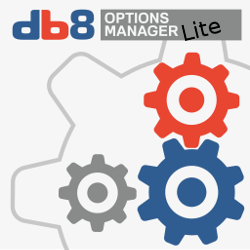 After downloading Options Manager Lite you can install the Component via Joomla's default Extension Installer. Before using this extension make sure that you have a recent working backup of your website!